Some 500 miners found themselves stranded underground after shelling left a Donetsk coalmine without power, local emergency services said. Later all miners were safely evacuated from the area, sources told RT. A Ukrainian artillery hit an electricity station at about 12pm (09:00 GMT) local time in the Kievsky district of Donetsk, an official from the self-proclaimed Donetsk Peoples' Republic emergency services told RIA Novosti. “At about 12:00 we registered a hit in one of our electric stations which delivers power to the Zasyadko coalmine - 496 miners are currently trapped there. We are preparing to evacuate them,” the official added. "As a result the elevator at the mine was left without power," Aleksey Kostrubitsky, head of the Emergency Services told RT. The rescuers have evacuated at least 110 miners so far, Eduard Basurin from the Donetsk Defense authorities told local media. 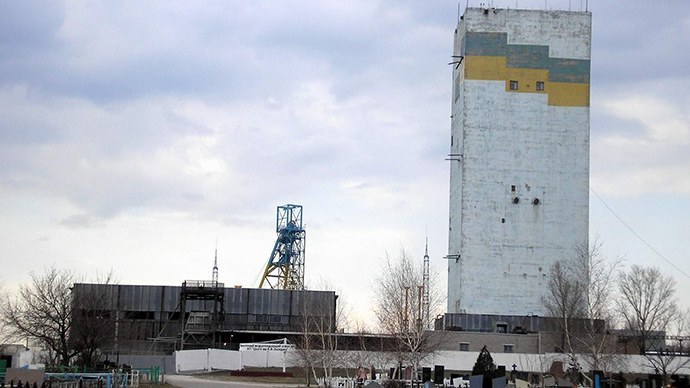 Later a source told RT Roman Kosarev that all miners had been safely evacuated from the site. The incident happened at Zasyadko coal mine, which is one of the most successful companies in Ukraine's coal industry. The mine has seen repeated accidents with numerous fatalities in the past. The worst tragedy happened in 2007, killing 101 miners. The accident was caused by a methane explosion. Ukraine's largest and best-equipped mine, Zasyadko employs about 10,000 people and produces up to 10,000 tons of coal per day. Donetsk is the major city of the Donbass region, which once was the backbone of the Ukrainian coalmining industry. Since the beginning of Kiev’s military crackdown in the area, there has been non-stop shelling and destruction. Kiev troops and militia forces are locked in renewed hostilities after a shaky ceasefire has utterly collapsed. Kiev launched a massive offensive last week, but failed to gain any ground. Hopes of hostilities deescalating are slim, with officials from both sides voicing their intention to continue fighting for their respective causes.